Without making much of a splash, the largest corporation in the world set up shop in Cambridge last year. Royal Dutch Shell — with an astonishing $481 billion in revenue and 87,000 employees — opened up its first Shell TechWorks innovation office in Kendall Square last year. The objective, according to a company web page, is to "work with local entrepreneurs, investors, companies, scientists, partners and suppliers to help speed up the deployment of new technologies in Shell’s business." 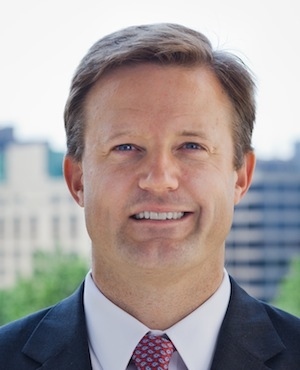 The energy giant hired a former Draper Laboratory executive, Shawn Murphy, to run it. Shell hasn't yet officially announced the office, and company spokesperson Kayle Macke said the company wouldn't let me talk to Murphy in advance of that announcement. But Macke did confirm that there are about 25 employees at the office now, and said that number could grow to 40 within the "next year or two." Murphy had previously worked on several satellite and unmanned space exploration programs at Draper, a non-profit R&D lab in Cambridge that frequently works with government agencies like NASA and the Department of Defense. The purpose of STW is to accelerate development and deployment of technology for Shell by leveraging the Boston-area tech ecosystem of academics, research, incubators, and entrepreneurs. ...STW is set-up in such a way that it creates the feeling of a start-up company. Project teams will be responsible for the development of innovative technical solutions through the full product lifecycle: from first-of-a-kind prototyping to product deployment. The group reports in to Thijs Jurgens, vice president of innovation at Shell. Shell TechWorks is located at 101 Main Street in Kendall Square, the same building that houses Amazon's Cambridge team. According to one source familiar with Shell's operations, most of the Shell TechWorks employees are people new to the company — and the oil and gas industry. Their mandate is not just to look for new ideas related to the energy industry, but also for things that might help Shell employees work more efficiently together, or with customers. 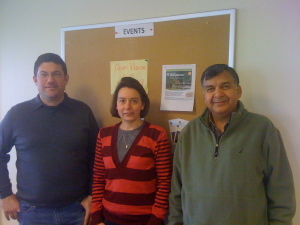 Current TechWorks employees hail from Draper Labs, E Ink, General Compression, and MIT. The office also houses two investors who work for Shell's internal venture capital group: Carl Stjernfeldt, formerly at Castile Ventures, and Henrik Holland. At a moment when it feels like the cleantech industry could use any help it can get, the Massachusetts Clean Energy Center is handing out $300,000 grants to incubators that could produce the next generation of fast-growing companies. The biggest chunk of money, $190,000, goes to Greentown Labs, a shared space for energy entrepreneurs and nonprofits, which is expanding and relocating from Boston to Somerville. Greentown, founded in 2010, houses almost 30 different ventures. The other incubators are in Beverly, Dartmouth, and Springfield. Most organize workshops and seminars in addition to providing workspace and mentoring to resident entrepreneurs. North Shore InnoVentures gets $60,000; it is home to three clean energy startups, but provides mentoring and other services to another six member companies. The nine startups employ 33 workers in total, according to a release from the MassCEC. The Advanced Technology Manufacturing Center at the University of Massachusetts-Dartmouth collects $30,000. It currently hosts two startups. The Scibelli Enterprise Center at Springfield Technical Community College, established in 1999, gets $20,000. It has three startups in residence. 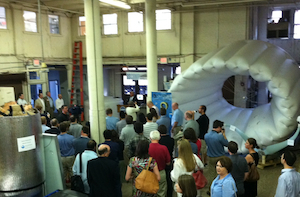 This is the MassCEC's first funding program focused explicitly on supporting incubators. The money is designed to help support their day-to-day operations, says Jeremy McDiarmid, left, the MassCEC's senior director of innovation and industry support. "We want to have them continue to provide space and resources for these very new companies," he says. "We want to put them on a path to self-sufficiency, understanding that they play a crucial role for the overall clean energy ecosystem." McDiarmid acknowledges that investors may be more reluctant today than in the past to provide funding to fledgling cleantech companies, but he says "there is still a vibrant culture, and a lot of cool ideas, particularly in Boston and Cambridge." The MassCEC is a publicly-funded agency that aims to support the growth of the clean energy sector in Massachusetts, and promote the use of clean energy by homeowners and businesses. It gets its funding from the Renewable Energy Trust Fund, which in turn gets its money from Massachusetts electricity ratepayers. A facility that once produced file folders and envelopes is getting a green makeover. The former Ames Safety Envelope plant between Union Square and Harvard Square will become the new home of Greentown Labs, one of the country's biggest incubator spaces for energy-related startups. Greentown plans to move in next month; its current digs are in Fort Point Channel, a/k/a Boston's Innovation District. With the move, Greentown will grow by about 5,000 square feet, to 24,000 square feet in total. The City of Somerville is providing a $300,000 working capital loan to Greentown, a non-profit entity, and the state's Massachusetts Clean Energy Center is considering a grant application for a similar amount. Greentown is also hoping to raise an addition $30,000 to cover build-out costs using the funding site Indiegogo. (That campaign isn't yet live.) Several city and state officials, including Somerville mayor Joe Curtatone, economic development secretary Greg Bialecki, and energy secretary Richard Sullivan, will stop by Greentown's new space on Dane Street this Thursday to announce the move. The new location is next door to another shared space, Artisan's Asylum, which rents out cubicles to craftspeople and small-batch manufacturers, and also offers courses on topics like oxy-acetylene welding and robot control systems. Greentown currently rents space to 28 different startups, consulting firms, and non-profits. Executive director Emily Reichert says there are about 10 other organizations on a waiting list, and that the new space will be able to accommodate them. Not everyone may make the move to Somerville, though: Greentown's future home is about a mile from the Porter Square or Harvard Square MBTA stops, while its current one is just a few blocks from South Station, Route 93, and the Mass Pike. Reichert says that some tenants may use Hubway bikes to get to the new location, and also that it has some dedicated parking (which the current location does not.) The old Ames Envelope facility will allow Greentown to eventually expand to 33,000 square feet. CB Richard Ellis handled the lease for Greentown. Reichert says that the location next to Artisan's Asylum could lead to a partnership between the two facilities. "They have cool tools that our tenants will have access to," she says, mentioning things like 3D printers and plasma cutters. "We're still working out the details, but there are a ton of synergies between what they do and what we do." There's also an underground tunnel that links Greentown to Artisan's Asylum, she says, which may or may not be usable by the two tenants. Mayor Curtatone says there has been "a concerted effort by my office of strategic planning and community development to meet with CEOs from around the region and the country to talk about Somerville. We are the innovation city, and we want to make sure that Somerville is at the forefront of the next economic upturn. In the past, we've always missed those waves." The loan Somerville is providing stipulates Greentown use its "best efforts to hire Somerville residents," says Curtatone. At least 51 percent of new hires will have to meet low- or moderate income standards. Greentown's tenants employ about 100 people in total. Hanna says that the new Greentown will have "about two-and-a-half times as much prototyping space" as its current location, in addition to desks, conference rooms, and a kitchen. Rent will go up "slightly" from current prices, he says (a desk costs $275/month and 100 square feet of prototyping space is $208/month). Greentown is planning to move in mid-August. The neighborhood is home to a new climbing gym called Brooklyn Boulders, and Cambridge Innovation Center is setting up a small satellite facility inside Brooklyn Boulders that its tenants will be able to use, with about 20 desks but no on-site operational support. One of Boston's highest-profile energy entrepreneurs, Christina Lampe-Onnerud, is moving to Connecticut to join one of the world's biggest hedge fund managers, Bridgewater Associates. 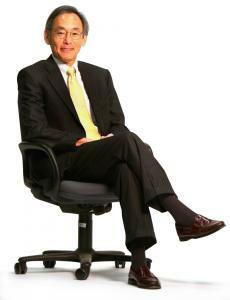 Lampe-Onnerud is a former Arthur D. Little scientist who in 2004 founded Boston-Power, a maker of lithium ion batteries for laptops and electric vehicles. The company attracted customers like HP and Saab. But Lampe-Onnerud dialed down her involvement with the company in 2012, after it raised a big new funding round and shifted much of its operations to China. "The thing I love [about Bridgewater] is it's a really high caliber team," she says. "I have every intention of giving everything I can and learning everything I can." But Lampe-Onnerud says that she and her husband, Per, have also formed a new energy startup called Cloteam. The company won a $40,000 grant from the Massachusetts Clean Energy Center in February. In the press release, Cloteam was said to be working on "a lower cost and higher safety energy storage systems using battery technology. ...With improved performance, in combination with greater safety and cost reductions in battery storage, cloteam’s innovations will enable electric drive and energy storage globally." Per Onnerud had previously been the chief technology officer at Boston-Power. Christina tells me that the job with Bridgewater is very much full-time, and that the family is in the midst of closing on a house in Westport, Connecticut, where the firm is headquartered. As for Cloteam, "Per is running it. Some of the people working with him are new people, and some were at Boston-Power. It's really a technical team right now. It will take a couple years to demonstrate if this idea is a good one." She says the company has team members spread across Massachusetts, Connecticut, and Rhode Island. "We can angel finance it ourselves," she says, but adds that "we are in discussions with other sources of funding." Lampe-Onnerud has one of the more optimistic personalities you'll ever encounter, and so it isn't a surprise when she says, "I am very sure that the energy space will come back." Greentown Labs co-founder Jason Hanna tells me that the energy-oriented workshop space for startups is growing this summer, adding about 3200 square feet on a second floor of its building. And with the expansion, another 10 companies will join the 13 already housed at Greentown, which may now be the biggest collection of cleantech companies under one roof in the region. Greentown moved into a former textile warehouse in Fort Point Channel in May of last year, after getting started in East Cambridge. With the expansion, it will grow to 17,500 square feet. Among the new tenants are Divya Energy, which is developing a website to help consumers evaluate various home solar systems; Vecarius, which aims to capture waste heat from automobile engines and generators; and Pika Energy, which advocates installing both solar panels and wind turbines on homes. Renting a single desk on Greentown's grungier first floor starts at $275 a month; the nicer upstairs space is $450 a month. But seven of the ten new tenants, Hanna explains, will enjoy four months of free space, courtesy of the U-Launch grant program for cleantech entrepreneurs. (That program is partially funded by the U.S. Department of Energy.) After that, they can decide to stick around as rent-paying residents — or not. Goscha says that after leaving Ideapaint in mid-2010 — he's still the company's fourth-largest shareholder — he started thinking about the lighting market, and federal regulations that will start phasing out incandescent bulbs starting this October. (The 100-watt bulb will be the first to vanish from store shelves.) "When else in my lifetime will there be a multi-billion dollar market open up due to federal regulations?" Goscha asks. And the alternatives available to consumers aren't very appealing, he says: those spiral-shaped compact fluorescent bulbs, or more expensive LED-based bulbs. "We talked to 20,000 consumers by standing in the lighting aisle of Home Depot, and doing phone and Internet surveys," Goscha says. "The number one thing they don't like about compact fluorescents is the color of the light — it's harsh — and the number two is the delay in start time. People are used to having a light bulb that just works. This has always been a grab-and-go product. They don't want to worry about whether it is a bulb for indoors or outdoors, or whether it gets bright right away or it doesn't." Goscha says that Lucidity is developing a new bulb that will be shaped just like the incandescents you know and love (that shape is called A19), but will use about 80 percent less energy than an incandescent. "It gives off the light color that people like, and it's dimmable," he says. "It will be inexpensive, and have a longer life than a compact fluorescent." Goscha doesn't want to talk about the company's approach. "We're filing patents now," he says. The law firm that's representing Lucidity is Fish & Richardson, which long ago helped Thomas Edison defend his patents for the light bulb he invented. Michael Rand and Ian Bowles are talking more openly this spring about a new financing firm they formed last year — perhaps because they're out shaking the money tree: WindSail Capital Group. Bowles, a former Massachusetts secretary of energy and environmental affairs, says, "Our ambition is to be the first sole-purpose clean energy lender." As the clean energy business transitions from scientists in white lab coats developing new technologies to technicians in blue jeans actually installing them, Bowles and Rand (pictured at right) say that many of the companies handling deployment need credit that isn't readily available. "There's no venture capital for these companies that don't have intellectual property of their own, and if they're not profitable yet, they can't get credit," Bowles says. "Banks are still being very conservative." WindSail set up a $3 million loan for Boston's Next Step Living last year, to help the company grow; Next Step conducts residential energy efficiency audits and performs some home energy upgrades. "If a company is installing LED lighting or solar panels, they have inventory and receivables, and those are assets," says Rand, who previously ran a private equity fund at Gordon Brothers. "We're lending based on that underlying asset value." Rand says about half of the prospective deals they've been looking at have been in eastern Massachusetts, and half in the rest of the U.S.
"This industry is big already, and it's only going to get bigger in our lifetimes," Bowles says. Both partners declined to talk about their fundraising efforts for WindSail, citing regulatory restrictions. The business of selling home heating oil is not exactly full of marketing geniuses. When you buy a new house or condo that has oil heat (as opposed to, say, natural gas or electric), they send you a single piece of direct mail to persuade you to become a customer. And once you pick a provider, they assume you will be with them as long as you own the home. The relationship is simple: they send a truck to deliver oil every few weeks, and you pay the bills. An Andover-based start-up, NeighborOil, wants to inject some modern marketing techniques into that relationship. Namely, they want you to be able to shop around online for the best price per gallon of oil — the same way you can when you fill up your car — and they want to reward you with discounts if you refer friends to the service, or do some of your online shopping with any of NeighborOil's 4000 retail partners. "There are about nine million homes in the U.S. that use oil to heat their home or to heat hot water," says founder Paul Harkins. "And about six million of those homes buy oil on an as-needed basis, as opposed to being on a long-term contract. But most people don't know that they can shop around to find the best value." When you create an account on the NeighborOil site, it asks for your ZIP code; the service currently covers more than 80 percent of the parts of the U.S. that use oil, Harkins says. (Not Arizona or Hawaii, for instance.) You can accumulate points by inviting friends and neighbors to use the service; by allowing NeighborOil to post a marketing message on your Facebook wall; or by shopping at sites like Home Depot, Sears.com, or Barnes & Noble. (The site offers a toolbar that integrates into Firefox and Internet Explorer to make that last task easier.) You also earn points when you buy oil through NeighborOil. 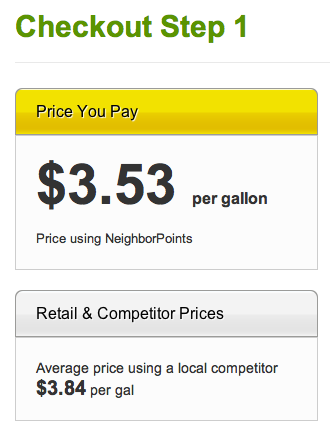 Each point can be converted into a dollar off when you purchase oil. Harkins says the site, which launched last summer, is adding about 30 homes a day. "The main acquisition strategy is members inviting other members," he says, "but we're also doing some search engine advertising." For many oil dealers, Harkins says, "marketing is really a secondary consideration. We help them with that, and it's guaranteed payment. They don't need to invoice the customer and worry about that percentage that don't pay, or pay late." Eventually, Harkins says the company hopes to help consumers upgrade older, less efficient boilers and furnaces: "Our thinking is that you'd take a picture, and we'd look at it and be able to tell you that it's a 1985 unit, running at 45 percent efficiency, and that you'd use half as much oil with a newer unit." He says the company plans to start testing a new financing offering within the next month or two that would help consumers purchase more efficient equipment — and they'd be able to apply their points to that, too. Among the start-up's advisors are David Baum, managing director of Stage1 Ventures; Julie Roehm, SVP of marketing at SAP; and Ian Bowles, a former secretary of energy and environmental affairs in Massachusetts. U.S. Secretary of Energy Steven Chu was gave a talk at MIT today on "Winning the Clean Energy Race," and I got a chance afterward to ask him about the future of the ARPA-E program, which was created in 2009 to supply grants to "transformational energy research" at universities and start-up companies. Modeled after DARPA, the arm of the Pentagon that helped develop the predecessor to the Internet, ARPA-E is the "Advanced Research Projects Agency for Energy." The program has funded fuel cell research at Harvard, wind turbine development at FloDesign in Wilbraham, and new solar cell production approaches at 1366 Technologies in Lexington, among others. What will happen to ARPA-E in 2012 and beyond, given the battles in D.C. over deficit reduction, and the possibility that a "sequestering" mechanism could impose across-the-board budget cuts? Secretary Chu told me that ARPA-E has allies "on both sides of the aisle" who recognize that the program "is doing very well." Despite the budget pressures, he said, "I'd like to see it grow. This is R&D. It's in the sweet spot of the United States." Funding R&D, he said, costs much less that building a first pilot plant for a new generating technology (something the Department of Energy's embattled loan guarantee program has helped underwrite in the past, but perhaps no more.) ARPA-E makes sense, he said, because it focuses on "where the dollars that we do have can be invested with the highest leverage possible." In September, seven universities and companies across New England were awarded ARPA-E grants. ARPA-E's director requested fresh funding of $550 million for the 2012 fiscal year, but that money has yet to be appropriated. You can already use the Internet today to punch in a few details about your car and find out its resale value, without having to drive it to a used car dealership to get it eye-balled. Retroficiency believes it ought to be just as easy to evaluate an office building for energy savings opportunities. Just key in some data about the building's age, size, location, hours it's occupied, and the electrical bill, and Retroficiency's software consults a vast database to help prioritize which energy efficiency steps might help the owner or facilities manager save money — like upgrading the insulation or installing LED lighting. The company is announcing today that it has raised $3.3 million from Point Judith Capital and local angel investor, including Jill Preotle and Jean Hammond. "When you look at reducing the carbon footprint in the United States, there's a huge bottleneck right now, and that is the way we assess buildings for energy efficiency opportunities," Fisher says. "The best estimates say that there are ways that building owners could save about $400 billion, but the way we assess buildings today is that we send people in to count lightbulbs and look at HVAC units. That can cost tens of thousands of dollars per facility." 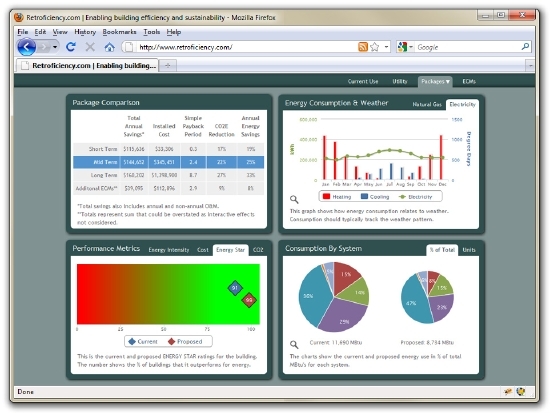 Retroficiency's Web-based software looks at information from tens of thousands of previous energy audits (walk-throughs done by specialized professionals) to perform a kind of pattern recognition, identifying things that a building being evaluated with the software is likely to share with those that have been audited by humans. Fisher says the software can be useful to companies that own a portfolio of buildings; facilities management firms; and utilities. "The software does two things: it helps them prioritize which buildings to hone in on, and it evaluates thousands of energy efficiency measures within minutes to tell them which ones will have the best payback," he says. As part of today's announcement, Retroficiency is filling out its executive team, and also acquiring the energy efficiency division of North Andover-based Nexamp, which is primarily a developer of solar power projects. Retroficiency's software has been used to evaluate about 1.5 million square feet of space in the Boston area, and more than 30 million square feet in total. Hemant Taneja, the venture capitalist who helped create the New England Clean Energy Council in 2007, is involved with a new trade group that makes its debut this week: the Advanced Energy Economy. The Washington- and Palo Alto- based organization hopes to knit together state and regional associations, and serve as a new national voice for the cleantech industry. It will subsume the operations of the Clean Economy Network, a Washington-based organization with six employees that sought to promote energy-related innovation. “We want to build a business voice for the industry beyond Al Gore and T. Boone Pickens,” Taneja says. “The three principles of the group are to have a full and fair accounting of the costs of the energy we use; open markets; and to embrace long-term thinking.” The Advanced Energy Economy will seek to collaborate with already-established groups like the New England Clean Energy Council, the Illinois-based Clean Energy Trust, and the Colorado Cleantech Industry Association. Advanced energy includes all solutions that move us toward the goal of energy that is affordable, abundant, and secure. Rather than favoring specific technologies, advanced energy is inclusive in nature and judged by the benefits it provides in the field and in the marketplace. Electric and plug-in hybrid cars, lightweight composites for airplane bodies, natural gas-fueled trucks, high-performance buildings, more efficient industrial processes, and the latest wind, solar, and nuclear technologies – these all represent advanced energy in that they produce energy savings, use resources more productively, reduce dependence on foreign oil and reduce health and environmental costs. The federal government made a pretty significant commitment to 1366 Technologies last month — handing the Lexington company a $150 million loan — and now co-founder Emanuel "Ely" Sachs is doing the same. After a 25-year stint as a lecturer and engineering prof at MIT, he's giving up tenure at the institute to stay with 1366, a company he co-founded, as chief technical officer. Sachs had been on leave from the MIT faculty, but MIT doesn't ordinarily extend professional leaves for its faculty beyond two academic years — so Sachs had to choose between the school and his start-up. "I am giving up one privilege for another," Sachs says. 1366 is designing processes so that silicon-based solar wafers can be made more cheaply, and the company's macro goal is to make it possible to produce power from the sun at a price that's competitive with coal-fired plants. Sachs was earlier involved in developing the "string ribbon crystal growth" process for wafer production, which was commercialized by Evergreen Solar. He also developed key technologies at MIT that enabled inkjet printers to spit out models of three-dimensional objects, radically reducing the cost of making prototypes and spawning the field of 3-D printing. There's a farewell party for Sachs happening this evening at MIT's faculty club. The last high-profile, entrepreneurially-oriented prof to depart MIT was Rodney Brooks, the iRobot co-founder, who left to work on his start-up Heartland Robotics last year. ...I would never have been able to make my own contributions to photovoltaics, were it not for the positive impact of tenure which, at MIT at least, filters down to our students. In the late 1970’s, when I came back to MIT to get a PhD with a Hertz Fellowship in hand, the only faculty member engaged in PV work was the late David Adler of EECS, and he was working on a different branch of the PV tree. He helped me get lab space and made me part of his group, even though I did not contribute directly to his own research work. Woodie Flowers was my guardian angel within the ME Department. These generous and dedicated teachers were, to me, exemplars of one of the roles of tenure. Over 20 years later, immediately after the events of 9/11, I decided as a faculty member to turn my research program full time to PV. I was able to do so only because I had tenure. Funding was all but impossible to get for several years to come and although I had to work on a shoestring, the opportunity was there, and the work I started at that time eventually led to the founding of 1366. And even then, MIT, in the persons of the Provost and my Department Chair, have been extraordinarily generous in allowing me to take leave to help get the company off the ground. So, given this long and fruitful history, what’s up with my decision to make this career change? Let me explain with a funny story. Notice that I have let you know the story is intended to be funny. That’s just in case there follows a moment of awkward silence and you are inclined to fill it with polite laughter. So I get my coffee – or in my case, I get to pursue my passion for photovotaics and my belief that electricity from sunlight in combination with new energy storage technologies, will be the mainstay of our energy economy by mid-century. But, I do have to give up the cream of tenure at MIT. Make no mistake about it – my heart is a little broken. But distinct from the story, I get the milk of an exciting ride together with my fellow travelers at 1366. Today we see the news abuzz with tension about renewable energy, about manufacturing and about the intersection of renewable energy and manufacturing – right where 1366 lives. Some say that through the development of new fossil fuel extraction technologies for oil and gas, we can just keep doing as we are doing and by the way, there is no human-induced global climate change. I say that it is a natural part of life that one generation creates problems for the next too solve, but this one is a step too far because in its slow motion it is gathering irresistible force. Some say that renewable energy is just too tiny and can never be a significant part of our energy economy. I say that everything that is now big was once small. Some say that we should turn in large measure to electricity from nuclear sources. But I say that the law of unintended consequences is as fundamental to human nature as are the laws of thermodynamics to the physical world. Some say that renewables must be able to compete without subsidy, starting yesterday. I say that with proper accounting for societal impact that they would do so, starting now. Some say that in the context of photovoltaics, crystalline silicon was a great starting point, but that, it is time to move “beyond silicon”. I say that the fundamentals of earth abundance, good performance, and demonstrated field reliability have always favored silicon. In addition, there is the powerful peloton effect of hundreds of efforts competing and moving toward a similar goal. This unleashes astonishing creativity and, pardon the pun, energy, much as it has in the world of microelectronics. Most economists say that goods should be made in the lowest cost location – that this is the most efficient way and everyone benefits in the long run. I say maybe. But first let us take into account the broad immediate and future economic impacts beyond the individual company making the decisions. Let us account for the loss of expertise which then makes every future endeavor harder. And let us recognize that Aristotle might have been onto something when he referred to Man the Maker as one of the three aspects inherent to human nature and therefore, by extension, necessary for a functioning society. Some say that renewable energy is just a commodity and that it doesn’t matter who controls the manufacture of them. I say maybe. But first, let us reflect on the observation that access to energy sources has been a major factor in determining the history of the last 60 years. These seven debates , would make for an interesting ride even for anyone with a front row seat. I figure I’ve bought myself a pass to the arena itself. Please wish me and my fellow travelers luck as I do you. Given the intense budget negotiations taking place in Washington this week, it might not be the ideal time to drop by the Capitol to talk about the future of the energy industry. Regardless, tomorrow's the start of the third annual "DC Fly In" organized by the New England Clean Energy Council. Among the NECEC council members who are participating in this year's fly-in are Mike Decelle of Sun Catalytix; Barry Fougere of BigBelly Solar; Tim Healy of EnerNOC; John Joyce of Ambient Corporation; Jim Matheson of Flagship Ventures; and Dhiraj Malkani of Rockport Capital. Peter Rothstein, head of the NECEC, writes in an opinion piece that it's significant the group is visiting Washington amidst the battle over the federal budget. "It is critical that we distinguish between sensible spending cuts and reckless disinvestment in our clean economy future," Rothstein writes. "...The budget must reflect a coherent long-term investment strategy that prioritizes energy innovation." In particular, Rothstein worries about the future of the Department of Energy's Office of Energy Efficiency and Renewable Energy. While the New England delegation is in town, the Brookings Institution will release a new report, "Sizing the Clean Economy," which estimates that the "clean economy" now employs more people than the fossil fuel industry or bioscience. Earlier this month, Providence-based Point Judith Capital and a couple of its portfolio companies moved into new office space in Boston's financial district. Point Judith plans to use the new digs as a home base for partner Zaid Ashai, who joined the firm last year to invest in cleantech companies. It also houses a Boston branch office of Nexamp, a North Andover firm that develops renewable energy projects, and the new headquarters of Earth Aid, a five-person consumer energy efficiency start-up that recently moved to Boston from Washington, D.C.
"We've been calling it a shared space," says Ashai. "The only reason I don't call it an incubator is that people have very different ideas about what an incubator is." There's no official moniker for the 3,500-square foot space yet, he says. "We're looking aggressively at cleantech investments," says Ashai. "That could be interesting consumer Internet opportunities, which is what Earth Aid is, or smartgrid companies, or service-related ideas within transportation or the deployment of solar or wind technologies." In Boston, Ashai says, "you have companies like EnerNOC, which has been successful, and some major utilities, and a great university network. All those raw materials, we think, can create some really disruptive innovation in energy efficiency, too." 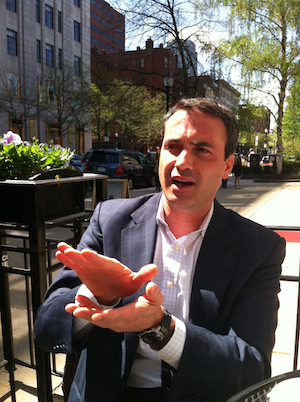 Ashai says he collaborates on energy-related deals with Jeffrey Weiss, a Point Judith "operating partner" (not a full-time employee of the firm) who is also active with the angel groups Boston Cleantech Angels and Clean Energy Venture Group. The current Point Judith outpost in Boston doesn't have space to house many more companies, Ashai says, but "we may eventually look to expand it if we can find the right space." Ashai earned degrees in business and public policy from Harvard, and before joining Point Judith was a senior associate at Good Energies in New York, another investment firm. A small Boston University & MIT spin-out company, Novophage, wrapped up its first round of funding last week, raising $5.75 million from a trio of local investors and Chevron Technology Ventures, an arm of the energy conglomerate. The start-up is engineering customized viruses called phages whose job is to seek and destroy the bacteria that gum up all kinds of industrial processes, from paper-making to oil exploration to heating and cooling big buildings. Anywhere there's water and humidity, explains Novophage CEO Micah Rosenbloom, you get colonies of bacteria that produce what are called "biofilms." "Right now, people use all kinds of chemicals and biocides to eliminate the bacteria, but that isn't very environmentally-friendly," Rosenbloom says. "What we did was to go in and analyze the microbial community — we sequenced its genome — and then we developed a targeted phage that can seek and destroy. It is a predator of bacteria." Biofilms, he notes, tend to make production processes less efficient and more energy-intensive. "They clog up the system," he says, "so it costs you more money to run it, and in the case of paper-making, you sometimes need to stop the production line to deal with the biofilms." Backing the seven-person company are Flybridge Capital of Boston, Founder Collective of Cambridge, and The Kraft Group. The Kraft family, notably, owns a portfolio of paper and cardboard businesses. 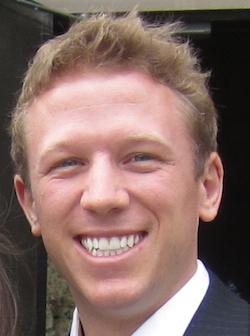 Flybridge funded the last start-up with which Rosenbloom was involved, Brontes Technologies, and a Brontes co-founder, Eric Paley, helped start Founder Collective. Early in its life, Brontes was a finalist in MIT's $100K Entrepreneurship Competition. It was acquired by 3M in 2006 for $95 million; the company made new technology that enables dentists to produce better-fitting implants for their patients. Novophage also participated in MIT's entrepreneurship competition... as well as contests at Harvard Business School, UC Berkeley, the University of Texas, Boston University, Purdue University, and even the University of Nebraska. "I jokingly say that their original business model was winning business plan competitions," says Rosenbloom, who was an advisor to the company before taking on the CEO role earlier this year. "They'd brought in $100,000 or so in prize money, and they were running the company on that." But once Rosenbloom was in, with his experience at Brontes and 3M, the company started to spark interest from venture capital firms. "It was a really competitive deal," says Jon Karlen of Flybridge. He adds that the company had initially been thinking about designing phages that would fight infections in people, or produce biofuel. "But this is a totally different approach," he says. "They pivoted a while back, mainly because it is very capital-intensive to try to make therapeutics or fuel." 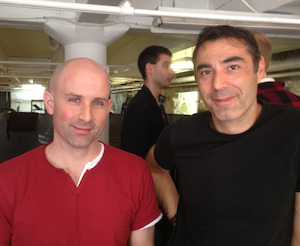 The key scientific team members at Novophage are Michael Koeris, Brett Cheavlier, and Tim Lu. Both Koeris and Chevalier had previously worked at Flagship Ventures; Lu was named one of Technology Review's "Young Innovators Under 35" last year. The company's field is often called "synthetic biology," which entails designing new biological entities to perform specific tasks. Rosenbloom says the company will initially focus on battling biofilms in HVAC systems and paper production. "I think this is one of those classic challenges of a technology that's applicable to many markets, where you need to pick what to focus on," says Eric Paley at Founder Collective. "This is an alternative to using toxic chemicals. When you talk to people in industry who have to manage these problems, this is a 'holy grail' kind of solution." Novophage participated in the MassChallenge start-up competition last summer. With this funding round, it becomes one of the best-funded alumni of that program, just about matching RelayRides, a car-sharing start-up that has raised $5.77 million to date. The company has been operating out of the Venture Development Center, an incubator space at UMass Boston, but plans to move to Boston's Marine Industrial Park in July. Of the neighborhood, Rosenbloom says, "I think it's sort of becoming the new Cambridge, but at one-third the cost of Cambridge." Novophage will be part of the 12 x 12 mentorship program, designed to help launch new companies in Massachusetts, with Jonathan Kraft serving as a mentor to Rosenbloom. Two Boston-area venture capital firms are bankrolling a Sycamore Networks veteran, Naimish Patel, in a new start-up that aims to deliver smarter power management technology to utilities and major industrial power consumers. The start-up, Gridco Systems, doesn't yet have a Web site, and has been operating out of the offices of its investors, General Catalyst in Cambridge and North Bridge Venture Partners in Waltham. While Patel isn't saying much, the company seems to be focusing on solid-state (as opposed to magnetic) transformers, which can be smaller, more efficient, and easier to monitor and manage. At a conference in San Francisco earlier this month, Patel also observed that as the prices of commodities like iron, copper, and steel climb, so do the prices of traditional magnetic transformers. Neither Patel nor his investors would reveal how much the company has raised. But Gridco is one of the first investments that North Bridge partner Ric Fulop has made since joining the firm last year; Fulop was one of the founders of battery-maker A123 Systems. Declining an interview, Patel wrote in an e-mail, "As you might imagine, things are extremely hectic here at Gridco, as we're heads-down on completing a variety of activities." Here's a good overview of some of the other companies developing solid-state transformers for the electrical grid. 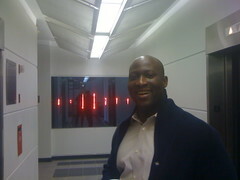 Before starting Gridco, Patel was an entrepreneur-in-residence at General Catalyst for several years. He spent more than a decade at Sycamore, the Chelmsford networking equipment maker, mainly in the role of chief technology officer. A quartet of senior officials who served in the state's Executive Office of Energy and Environmental Affairs under Deval Patrick are forming a new consulting and project development firm, Rhumb Line Energy. The founders are Ian Bowles, the department's secretary, who left last December, and undersecretary Phil Giudice, who plans to resign at the end of this month. Joining them are Vivek Mohta, who served as the director of energy markets at the state's Department of Energy Resources, and Bob Keough, who had served as the energy department's head of public affairs. They say their intention isn't to do lobbying, but rather strategy and business development projects for a variety of energy industry clients. "Within the policies that exist today, there are enormous opportunities to deliver more value, and a cleaner energy future," Giudice says. Giudice was part of the early team at EnerNOC, a publicly-traded energy management company in Boston, and Bowles did a 13-year tour of duty in DC as a director at both the National Security Council and the White House Council on Environmental Quality during the Clinton administration. Bowles says he has already been serving as an advisor to Harvest Power, a company that produces synthetic natural gas from food and yard waste, and FloDesign, which is developing a new kind of wind turbine. Bowles says he is also working with two stealth-mode start-ups being funded by the Cambridge venture capital firm General Catalyst. Bowles says some of the firm's work will involve helping technology developers bring new products to market as China, which is fast becoming the world's dominant cleantech country, continually drives prices down. "You have to be that much more disruptive" to make an impact on today's cleantech landscape, Bowles says. In addition to consulting, Bowles says the firm may explore developing renewable energy generating projects of its own, and that he is also cultivating a start-up concept of his own, geared to making home energy efficiency upgrades more appealing for consumers. (Bowles says he's currently doing an upgrade of a home he recently purchased in Jamaica Plain.) He also has a relatively-new affiliation with the Washington-based "global strategy" firm Albright Stonebridge Group, where he'll work on international projects. As to whether he might ever be lured back into a state or federal government gig, Bowles says, "I certainly wouldn't rule it out, but it's not where my focus is right now." A rhumb line, he explains, "is the navigational term for the most direct route between two points and that is a theme of our business." Bowles, Keough and Mohta are on Twitter, but the firm's Web site isn't yet live. Konarka Technologies co-founder Howard Berke quietly slipped back into the driver's seat of the Lowell solar start-up last September — a switch that wasn't announced at the time. Berke nudged aside Rick Hess, who had been serving as CEO since 2007, and who has since landed at American Superconductor as a vice president. A Konarka spokeswoman tells me that Hess stayed at Konarka "for a brief time for an orderly transition." During Hess' three-year stint as CEO of Konarka, former CEO Berke didn't go far: he remained executive chairman of the company, while also serving as an advisor to the cleantech investing firm Good Energies. In other Konarka personnel news, the company today announced that it has hired a 30-year Kodak veteran, Jim Buntaine, as its chief technology officer. WiTricity Corp. of Watertown, a start-up that is focused on developing a wireless charging system for electric vehicles and plug-in hybrids, landed quite the big fish today: a collaboration with, and strategic investment from, Toyota Motor Company, the world's largest car-maker. Toyota, of course, has been a pioneer in hybrid vehicles, and is about to introduce a plug-in version of its Prius hybrid in the U.S.
WiTricity envisions a system built into electric cars and plug-in hybrids that would obviate the need to worry about plugging them in to charge when you get home in the evening — or unplugging them when you depart in the morning. Instead, a mat on your garage's floor would convey electricity to a small "receiving coil" built into the car, using an approach called resonant magnetic coupling. "The collaboration," according to Toyota's press release, "is aimed to accelerate development and eventual implementation of wireless charging for automobiles." Toyota also snubbed a competing technology, magnetic induction, in its release. 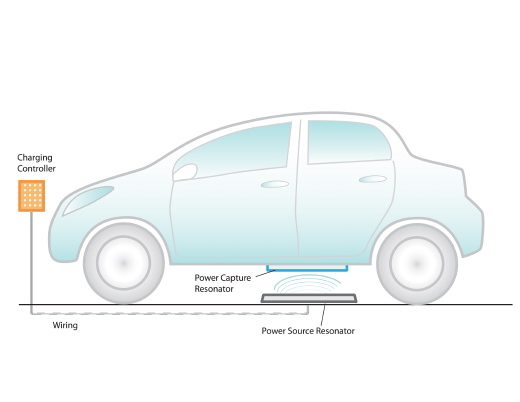 Giler's hope is that Toyota's interest in exploring WiTricity's technology will help establish WiTricity as a de facto standard for wireless charging, although the Japanese carmaker hasn't yet committed to integrating it into any forthcoming models. Plug-in hybrids like the Prius have both gasoline and electric motors, and they use electricity from the grid to charge their batteries when they're parked near an outlet, to cut gas consumption. All-electric vehicles like Nissan's Leaf only have electric motors. Both need to be plugged in. Last September, Delphi Automotive, a major parts supplier to carmakers, announced that it would help promote WiTricity's technology. When I visited with LumenZ in April of 2010, the LED lighting start-up seemed to be in pretty solid financial shape, having raised $8 million in funding from General Catalyst of Cambridge and Silicon Valley's Khosla Ventures. But a year later, LumenZ is defunct, and its founder, Bunmi Adekore, has just created a new consulting firm, Enalende Consulting. LumenZ has moved out of its offices at Boston University's Photonics Center Incubator, according to a neighbor there. Both of LumenZ's investors have removed the company from the online lists of their investments. A former LumenZ employee, now working at another local lighting tech company, tells me that LumenZ employees were informed last December that they'd need to find new jobs. LumenZ had been developing zinc oxide-based LEDs that it hoped would be less expensive to produce — but emit a warmer light — than today's blue-ish white LEDs. As a result, the company hoped that lamps using its LEDs would make their way into consumers' homes. "This is not a two-year kind of thing," Adekore told me last spring. "It requires investment over time, and it requires vision." LumenZ apparently wasn't successful in continuing to raise more money, based on its technical progress. Proving that a new material (zinc oxide) can work in an industry where big players like Philips and Cree are already scaling up production based on a different material (gallium nitride, mainly) is a tall order. Neither Adekore nor General Catalyst partner Hemant Taneja, who oversaw the LumenZ investment, have responded to phone calls or e-mails this week seeking comment. If you haven't yet explored ways to make your home, office, or school less power-hungry, a Texas company called CLEAResult aims to change that. Cambridge-based General Catalyst Partners recently made its biggest energy industry investment thus far, acquiring a majority stake in CLEAResult, a 300-person company headquartered in Austin that works with utilities to design and implement energy efficiency campaigns. CLEAResult is already active in 15 states, but CEO Glenn Garland says that the new funding will enable the firm to become a national player. By the end of March, the company hopes to have a small Boston office open and staffed. Last year, CLEAResult was ranked by Inc. Magazine as the 144th fastest-growing private company in the U.S. Garland says 2010 revenues surpassed $40 million. "Utilities are 98 percent of our business," Garland says. "We act as an extension of their staff. Most utilities are working under either a regulatory or statutory goal to achieve a certain energy efficiency target, like a reduction in total kilowatt hours used in their market." CLEAResult helps utilities communicate with their customers. Sometimes, CLEAResult employees go out to homes and businesses to conduct energy efficiency audits, and in other instances, they may direct a utility customer to other contractors in their market. Audits are on-site inspections that typically point to a number of ways a building's energy efficiency can be improved, like better seals around exterior doors, or better insulation in the attic. "We find that cost isn't usually one of the barriers to someone doing something about energy efficiency," Garland says. "It's that they don't have the knowledge or expertise to make judgments like which contractor to hire, or what level of efficiency they should try to attain." In some markets, like Nevada, CLEAResult also helps utility customers install certain small-scale renewable generating technologies, like solar panels, wind turbines, or hydropower. "We've been looking to make an investment in this space for three years now," says Hemant Taneja of General Catalyst. "We want to enable them to go from 15 states to 50 states." Prior to the General Catalyst investment, Garland says the company had been "completely bootstrapped. We did it the old-fashioned way — with credit cards." Taneja wouldn't be specific about the amount General Catalyst had paid for its stake in CLEAResult, aside from saying that it is the firm's biggest energy-related investment to date. Former Massachusetts energy secretary Ian Bowles expects that CLEAResult's entry to the New England marketplace — often considered relatively far along with its energy efficiency initiatives — could help spur competition. "We need more market participants offering innovative, well-designed, cost effective solutions in order to get more energy and bill savings and drive competition," he wrote in an e-mail. The clock on your wall lets you know whether you're running late for a meeting, and the thermostat tells you, roughly, what temperature it is. In the 21st century, why isn't there a prominent display in every home and office that clues you in to how much energy you're consuming? That's the premise behind a new Boston College start-up, Applied Power Innovations, from entrepreneurs (and sophomores) CJ Reim, Rich Rines, and Kevin Driscoll. Monitoring energy consumption is a busy space, but the trio believe that relying on a Web site or mobile app to present the data won't work. "That requires you to think or take the initiative," says Rines. "Our display is right in front of you all the time." 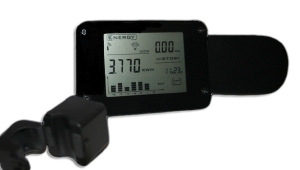 They've already got a prototype of what they call the Power Dashboard, consisting of two parts: a base unit that connects to an electrical line, and a display unit that can be mounted on a wall or placed on a desk. The base unit can communicate to the display over a range of about 100 feet. The display can present information like how much you're spending on electricity this month versus last month. They say that clamping the base unit onto a home or apartment's power supply is about a 10-minute installation process, and they project they can sell a finished product for about $200. Their first target customers will be universities. ("Universities are something we know best," quips Reim.) Many run energy conservation campaigns and contests, but it's hard to motivate students to get involved. But if each dorm room or floor had a display showing how much power they were using, and that data could be compared with others, Applied Power's founders think that the cost savings could surpass 20 or 30 percent. Reim says that the company is talking to Boston College officials, and may have Applied Power's product in a few buildings on campus by next month — which happens to be "green month" at the school. So far, they say, they've been building the company without outside funding. 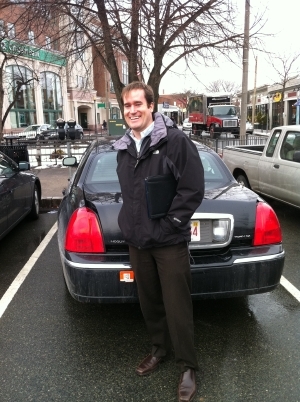 The black Lincoln Town Car that Tod Hynes has been driving around Boston looks exactly like the sort of sedan that’d ferry a well-paid executive to Logan. But under the hood and stashed in the trunk is a system that has turned the gas-guzzler into a hybrid, nudging down its gas consumption. Hynes, the president of Somerville-based XL Hybrids Inc., says the company is focused on retrofitting vehicles for customers who “drive a lot of miles in low mile-per-gallon vehicles.” He says that the company’s pilot vehicles have been demonstrating a 10 to 15 percent savings in fuel costs, and that the first commercially-retrofitted cars — they’ll mainly be Lincoln Town Cars — will save owners 20 to 30 percent a year. XL (the name stands for “extra large” vehicles) is announcing this week that it has raised $2 million in new funding, and signed a licensing agreement with Ashwoods Automotive Ltd. in Britain, the company that makes the retrofit kit that XL will adapt for use in the States. Ashwoods has been retrofitting Ford vans in Europe with its kit (about 150 are now on the road), and XL has adapted Ashwoods’ kit for use in sedans, with light-duty vans to follow soon. XL had previously raised $1.8 million in convertible debt from angel investors; one of its backers is the Massachusetts Green Energy Fund, which has invested $300,000 in the company. The kit adds an array of lithium ion batteries to capture energy that would ordinarily be lost in braking; an electric motor to return that energy to the wheels during acceleration; and an anti-idling system that allows certain accessories (like heat or air conditioning) to run for extended periods without leaving the engine on. “You don’t need high-tech tools to install it, or much training,” Hynes says. “The retrofit can be done in a standard garage.” While Hynes doesn’t want to talk prices, co-founder Justin Ashton told the Globe last year that the kit will cost less than $10,000. Initially, XL will be doing the conversions at its Union Square garage and headquarters, though Hynes says the eventual goal is to develop a network of partners around the country that can install the retrofit kits. In Britain, he says, Ashwoods can perform the conversion in less than four hours. Hynes says that XL is focused on converting vehicles that get fewer than 20 miles per gallon (a Town Car traveling city streets may get about thirteen), and is interested in selling mainly to companies that operate large fleets, as opposed to individuals. While Hynes acknowledges that as more and more hybrids and electric vehicles are sold, there may be decreased demand for conversion, he believes conversion is “a fifteen year opportunity." He also suggests that the company has future plans related to connecting electric vehicles and hybrids to the electrical grid. Founded in 2009, XL has 11 full-time employees, with plans to hire another five auto technicians and engineers this year. I asked Hynes about Hymotion, a conversion company now owned by A123 Systems. It developed technology to turn Toyota Prius hybrids into plug-in hybrids, increasing their fuel efficiency to as much as 100 miles per gallon (for the first 30-40 miles driven). "I think there's not as much of an impact when you're taking a high-mileage vehicle like the Prius and making it more high-mileage," he says, "especially when it's being driven relatively short distances by a consumer." Hynes says that a typical Prius driver might buy 300 gallons of gas a year, while the XL Hybrids conversion can save more than 1,000 gallons in certain heavy-use scenarios. Hynes teaches a course at MIT called Energy Ventures, and was a co-founder of the university’s Clean Energy Prize. He was previously the director of alternative energy at the Boston non-profit Citizens Energy. 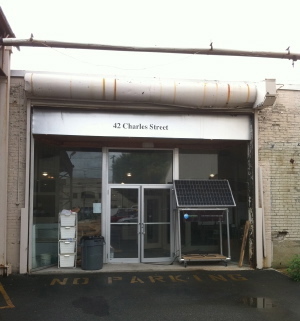 Sam White of Promethean Power e-mailed earlier this week to let me know (along with a number of state and local officials) about a new incubator space he'd opened over the summer in unused warehouse space less than a block from the CambridgeSide Galleria. "It's a beautiful cleantech ecosystem that has been created out of desperation," he wrote, "and [I] thought you'd like to come see the excitement of actually bending metal and building everything from airborne wind turbines to more efficient natural gas compressors to solar milk chillers." I dropped by the next day to have a look around. Outside the front door, you encounter a small solar panel that Promethean is using to test their sun-powered milk chiller, designed to be used by rural dairy farmers in India, where access to electricity can be unreliable. 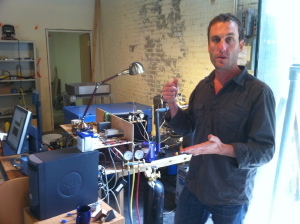 White (pictured at left) says that while Boston and Cambridge offer lots of different incubation options for companies that just need cubicles, WiFi and computers, energy-oriented endeavors often need access to a machine shop. They also need space that can get grungy, and his thus-far nameless incubator (I want to suggest calling it the East Cambridge Energy Epicenter) has wires hanging from the ceiling, loading docks, and unfinished concrete floors. The buildings were once occupied by Kendall Press. White found the 6,000 square-foot space over the summer, with help from realtor Tad Lee at Colliers Meredith & Grew. Right now there are four tenants at the space, though there's room for more, White says. Jason Hanna, the founder of Coincident, said he'd recently received a $1 million Phase II SBIR grant from the Department of Energy, to develop a system that will collect information from the various smart appliances and meters that will eventually show up in consumers' homes, and present it all in a Web-based interface. He said he'd moved the company out of his garage in Lakeville into the East Cambridge space. Jeremy Pitts of Oscomp Systems showed me a prototype compression system the start-up is building, which might one day be used to help extract more gas from what are called "marginal wells" — older wells that can't be efficiently operated using today's technology. Unfortunately, no one from Altaeros Energies was around when I visited; the company is developing a high-altitude wind turbine that is held aloft by a helium-filled balloon. But I'm told they've been out around Boston recently, flight-testing an early design. 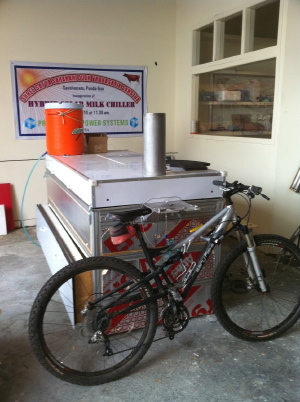 White mentioned that Promethean is working on a second-generation prototype of its milk chiller, after field-testing the first version in Savoi, India. "There are about 600,000 villages that produce milk in India, but only 300,000 can contribute to the organized dairy industry," White says. "We want to change that." 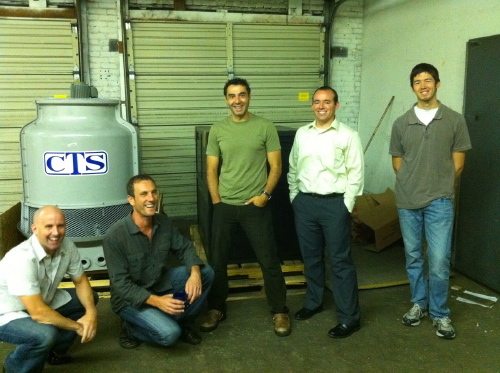 In the photo below, from left to right, are Hanna, White, Sorin Grama of Promethean, Pitts, and Andrew Nelson of Oscomp. Watertown-based WiTricity Corp. is announcing its first big partnership in the automotive industry today — or rather, having the partnership announced for it by the chief executive of parts supplier Delphi Automotive, in a speech to the Detroit Economic Club. WiTricity, an MIT spin-out, makes "wireless energy transfer technology" — in other words, they want to be to electricity what WiFi is to Internet connectivity. The company says it can safely transmit power — as much as several kilowatts — over a couple meters. The partnership with Delphi could lead to charging mats that sit on a garage floor, or are embedded in the pavement of a parking lot, making it unnecessary to plug an electric vehicle into the wall (or, more importantly, to remember to unplug it). According to today's press release, "The collaboration between the two companies will help establish a global infrastructure of safe and convenient charging options for consumer and commercial electric vehicles." That includes plug-in hybrids (vehicles with both gasoline-driven engines and battery-powered electric motors) and all-electric cars like the Nissan Leaf or Tesla Roadster. 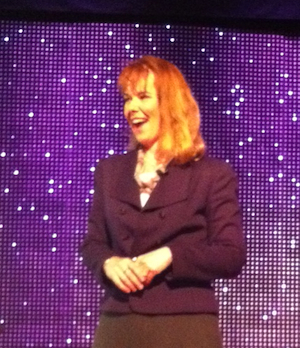 "We're excited about working with Delphi," WiTricity CEO Eric Giler told me recently. "They were one of the quickest on the uptake, as far as saying, 'We've got to get into this.'" But the deal is non-exclusive, and WiTricity remains interested in partnering with other automotive suppliers and car-makers as well. Giler also casually mentioned that the company has raised $15.5 million in total since its 2007 founding, including a Series C round earlier this year that included some strategic investors. (As far as I know, only the company's $4.5 million A round, from Stata Venture Partners and Argonaut Ventures, had previously been reported.) Giler said they may soon look to do a fourth round, probably again with strategic investors. Giler says that WiTricity's other big partnership thus far is with the Chinese consumer electronics company Haier. A WiTricity-enabled home entertainment system will be on the market in China early next year, Giler says. A single plug and WiTricity "power source" sends juice to a flatscreen TV, DVD player, and other gear, Giler says. 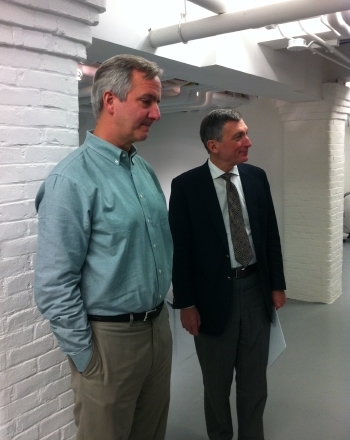 Can a cleantech incubator grow in Boston? This morning, Boston Mayor Thomas Menino is expected to announce his intention to establish a cleantech incubator in Boston's "Innovation District," a/k/a the Seaport District. The Mayor planned to make the announcement at the Ad Club's Edge Conference. According to his prepared remarks, the Mayor mentioned Boston-based EnerNOC, a publicly-traded company, and his plans to build a 1.65 megawatt wind turbine on an island in Boston Harbor. ...I am giving my team a new task: to work hard and work fast to create a “clean tech incubator” in the Innovation District. This facility would help clean tech companies start up in Boston, create jobs in Boston, and thrive in Boston. We will take the lead because we know how important these businesses are to our city’s future. With this new incubator we are saying to clean tech companies, “We want you in Boston, and we are ready to help you succeed.” Time is of the essence. I believe we really need to move quickly; to push the envelope here; to explore; to be bold. It’s not enough to be a part of the green revolution. In Boston, we must lead it. What else do we want our city’s brand to be – if not revolutionary thinking? The Mayor's speech was short on specifics, but Peter Rothstein of the New England Clean Energy Council told me this morning that his group has been working with the Menino administration, MIT, and the Massachusetts Clean Energy Center to secure federal funding that could help renovate a Boston building that would serve as a cleantech incubator. The proposal was submitted in early May, Rothstein said, with a decision expected in August or September. "It'll be quite competitive, since there's only one grant that will be awarded to one city," he said. 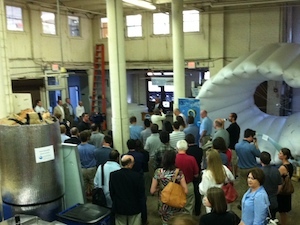 Other cities, including Worcester and Springfield, are working on cleantech incubators of their own. In Waltham, the Clean Energy Fusion Center is already home to a dozen entrepreneurs working on new ventures, and the Cleantech InnoVenture Center opened last fall in Lynn. Key to the success of a new incubator in Boston will be free or discounted rent, and more importantly, a critical mass of viable companies choosing to locate there and some sort of mentorship by experienced investors, technologists, and executives. ...There's a group working together now to form what we're calling the ACTION Network (Associated Clean Tech Incubators of New England) which will serve as a consortium to help foster a healthy, geographically dispersed, and somewhat functionally specific set of incubators for the region. The logic is that if the region is competing as a whole for Obama $, it's better for us to band together and submit grant and funding applications that serve all of our collective interests, than to submit separate proposals and run the risk of the $'s flowing to some other part of the country. Flagship Ventures managing partner Noubar Afeyan says his Cambridge firm is expanding its summer program for scientists with an entrepreneurial inclination; piloted in 2009 with just two Flagship "entrepreneurial fellows," this year it will grow to about 15 graduate students and recent alums. The firm doesn't exactly put out an open call for applicants — there's no information about it on Flagship's Web site, for instance — but rather circulates a call for applicants selectively, in places like MIT's chemical engineering department (where this job description appeared earlier in 2010.) "It's not something that's open for all comers," Afeyan says. "But we've reached out broadly across the U.S. We broadcast it across many different universities." The fellows will spend the summer working with Flagship on the creation of a handful of new companies as part of what the firm calls the Flagship Venture Labs, an internal start-up factory that Afeyan says has spawned 22 businesses so far, including companies like Helicos Biosciences, Joule Unlimited, LS9, and BG Medicine. One sustainability-related company that last year's fellows worked on, Afeyan says, has since gotten seed funding from Flagship (less than one million dollars), though it's still in stealth mode. The summer program, Afeyan says, "continues to be an experiment. The idea was that we should see if we can take some folks who have scientific and other backgrounds that are pertinent to the projects we're interested in, and get them working on this intense start-up activity." This summer's fellowship program kicks off early next month. Ze-gen founder Bill Davis says his Boston company has filed permitting paperwork this week with the Massachusetts Environmental Protection Agency to build the start-up's first commercial-scale waste-to-energy facility in Attleboro. The company already operates a demonstration plant in New Bedford. Davis says the new plant will take in industrial junk like carpeting, unrecyclable plastic, and railroad ties and turn it into syngas, a hydrogen and carbon monoxide mixture which can then be burned to generate electricity. (The company's process dumps the industrial waste into a cauldron of extremely hot molten copper to "gasify" it.) The Ze-gen plant, built in a former Texas Instruments facility, will be capable of handling up to 150 tons of waste a day, and the electricity it produces will serve the industrial park where it will be located, the Attleboro Corporate Campus. Davis says it will be capable of generating seven megawatts of continuous power (about enough for the park, whose tenants include Sensata Technologies), and also will provide heat that can be used to warm buildings and water on the campus. Ze-gen's investors include Flagship Ventures and the Massachusetts Technology Development Corp. locally, as well as the Oman-based Omaz Zawawi Establishment. The company has plans to formally announce the new facility on Monday. Interesting that a spin-out from North Carolina State University would land on the sixth floor incubator space at Boston University's Photonics Center, but that's just what has happened with LumenZ Inc., an LED lighting start-up that has been all too happy to leave all of us in the dark about what they've been working on for the past two years. Founder Bunmi Adekore (pictured at right) was willing to chat a bit this week about what they've been up to since then — which includes raising an additional $5 million last September. Several sources tell me that Newton-based Solasta Corp. is quietly shutting down this month. The company had been working on next-generation solar cells that would be covered with nanowires designed to both capture light efficiently and conduct electricity. Solasta spun out of work done at Boston College, and raised a first round of $6 million from Kleiner Perkins Caulfield & Byers in 2006. Kleiner Perkins partner Bill Joy made the investment, and Mike Clary, formerly an entrepreneur-in-residence at KP, joined Solasta as its chief executive. In late 2009, the company said it was hoping to raise $20 million to get its product into production by the end of 2010. "As with so many areas of the economy, it is a difficult time to secure financing," writes Michael Naughton, Solasta's CTO and chairman of the physics department at Boston College, in an e-mail. Naughton claims that the team "remains intact and focused on licensing the technology or re-booting the company." Clary didn't return my phone calls this week, and I didn't hear back from Kleiner Perkins' PR firm yesterday. The company's Web site has also been unavailable this week. Naughton said that he remains "optimistic that the technology will make an impact in the future as the world seeks highly efficient solar energy solutions." Clary also helped launch GMZ Energy, a Waltham cleantech company also backed by Kleiner Perkins, which continues operations. The agenda included local folks like Peter Rothstein, senior vice president at the New England Clean Energy Council; Desh Deshpande, chairman of A123 Systems; and MIT prof Yet-Ming Chiang, co-founder of A123. And the Department of Energy released the video below to coincide with the summit; it spotlights the work of Cambridge-based Sun Catalytix, an MIT spin-out developing new ways to produce hydrogen that has received $4 million in funding from ARPA-E; Sun Catalytix co-founder (and MIT faculty member) Dan Nocera was down in D.C. for the event, and the video was briefly highlighted this week on the White House's homepage. 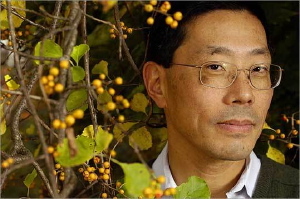 At the summit, Energy Secretary Steven Chu announced that his agency was making $100 million in stimulus funding available for research projects in three areas, including large-scale energy storage technologies. Cambridge's Greentech Media has some great analysis of the event, headlined: "ARPA-E(mpty): Fantastic Program; Not Enough Money." Today and tomorrow, MIT has the student-organized MIT Energy Conference at the Sheraton Hotel in Boston. And next week's big energy-related event, Going Green East, takes place at the Four Seasons Hotel in Boston; the agenda is full of local venture capitalists and CEOs. You've heard of incubators, which provide space for numerous young companies under one roof, with shared copiers and communal coffee. But what about a "syncubator"? That's the term coined by the founders of the new Clean Energy Fusion Center in Waltham: an incubator where synergies develop, since all the start-ups housed there are pursuing opportunities in related sectors, like wind power, solar panels, or smart grid software. The CEFC is managed by a group of executives who participated in last year's Clean Energy Fellowship Program with the New England Clean Energy Council, including Lorraine Wheeler, Mike O'Neill, and Doug Levin. (The fellowship program aims to give executives from other industries an immersion course in the science and business of energy.) They set up shop last August, and are holding their official opening party later this month. But already, the first start-up incubated in the CEFC is getting ready to leave the nest: 7Solar Technologies, which has Evergreen Solar co-founder Jack Hanoka as part of its founding team. Will a green trade center take root in Woburn? During my Open Office Hours last week, I had a chance to chat with Joshua Levitt, the prime mover behind an interesting project up in Woburn: the International Green Technology Trade Center. The goal is to open a "permanent trade show" featuring energy-related technologies from around the world, and host an on-going series of conferences and seminars to bring people in. Their tag line is "Where the world meets to trade green." 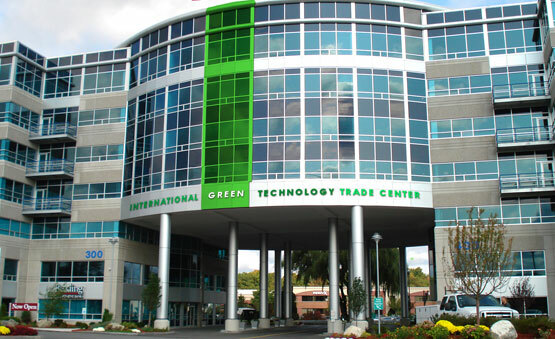 Levitt has his eyes on the TradeCenter 128 building in Woburn, which has solar panels on the roof and has a gold-level certification from the U.S. Green Building Council. His objective is to sign up 50 tenants, and open the center in about 25,000 square feet by February. "We've got a lot of small, independent companies signed up," Levitt says, though he won't reveal a specific number. Levitt says the lowest price for a 150-square foot showroom booth is $1800 per month. "But it also can double as office space for a lot of companies that may have a sales rep who is currently working out of their house," he says. The center's job, he explains, will be to bring in a steady flow of professionals to take courses or attend conferences in the space -- and, not incidentally, to tour the collection of booths. He's talking to various local trade associations, such as the New England Clean Energy Council, about hosting cocktail parties and other gatherings in the space. Levitt says they haven't yet signed a lease, but rather have an option on the square footage from Cummings Properties, the developer. Levitt's partner in the project is Fred Altman, who has consulted with European companies on marketing their products in the U.S. and created several showroom facilities around the country for clothing, jewelry, and furniture manufacturers. Levitt is off next week on a trip to Israel and the Netherlands to try to sign up more tenants for the IGTTC. You can follow his progress on the IGTTC's Twitter feed. Copenhagen will be the place to be next month for the world's policy-makers, when the United Nations convenes its Climate Change Conference. But for the doers who're developing new technologies to combat climate change, Boston will be the center of the action next week. On Tuesday, the nation-wide Ignite Clean Energy Competition comes to the Massachusetts State House, with ten teams of entrepreneurs presenting their business plans and angling for a $35,000 top prize. On Wednesday night, the New England Clean Energy Council holds its second annual Green Tie Gala at the JFK Library, with tickets priced at $325 a head. Congressman Ed Markey, who'll be traveling to Denmark next month for the UN conference, will be the featured speaker. And on Wednesday and Thursday during the day, you've got the Conference on Clean Energy at the Hynes Convention Center, which will touch on new research coming out of universities, funding trends for energy businesses, and the latest breakthroughs in solar and wind. Steven Koonin, an under-secretary at the Department of Energy, will give a keynote, as will Gov. Deval Patrick. There's also, on Sunday, this event at Harvard's Kennedy School that'll focus on the Massachusetts-Israel cleantech connection, with speakers including Rep. Markey, Michael Granoff of Better Place, and Ric Fulop from A123 Systems. Forced to spend an hour or two this morning inside MIT's Kresge Auditorium awaiting President Barack Obama, there was really nothing to do but schmooze. Once you'd entered the hall, you couldn't leave, and so it felt a little like being together on a spaceship. I found myself wishing I'd brought coffee and danish to sell. Most of the cleantech bigwigs present were hanging out down by the stage, and there were a few rows of seats marked "Reserved" nearby with white pieces of paper that featured the Presidential seal and the VIP's name. 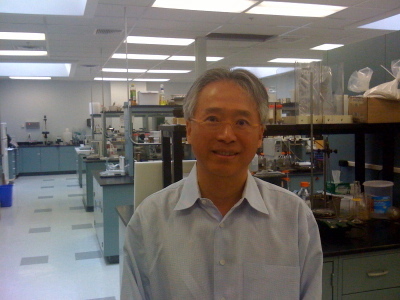 One of the seats was reserved for Yet-Ming Chiang, an MIT prof and co-founder of the battery-maker A123 Systems. He's pictured at right with Helen Greiner, an MIT alumnae and co-founder of iRobot Corp. Greiner mentioned that she'd just been in DC testifying before a Senate subcommittee on space exploration. Today's column is a visit to Soane Energy, the latest start-up company from chemical engineer and serial entrepreneur David Soane. This week, the company will disclose an investment of several million dollars - Soane won’t be more specific - from Cambridge-based Intervale Capital, a private equity fund, and Chevron Corp.’s venture capital arm. Here are some pics from my visit, which explain the company's approach to helping make oil production from Canada's oil sands more environmentally sustainable. This week's major news on the federal stimulus front is $2.4 billion worth of grants for new technology related to electric cars, hybrids, and the batteries to run them. Some of the money will go to companies in Quincy, MA; Barre, VT; and Waterbury, CT. 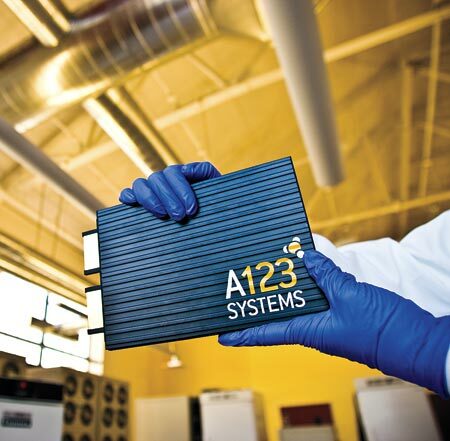 But the big local winner was A123 Systems of Watertown, the MIT spin-out -- and IPO contender -- that received $249 million in stimulus funds. It will use the money to build factories in Michigan to make lithium-ion car batteries. Boston-Power, a Westborough company that also makes next-gen lithium-ion batteries, was hoping for a $100 million chunk of change to build a factory in Massachusetts, but came up empty. One Innovation Economy reader pointed me to some interesting data about the two battery companies' lobbying activity. 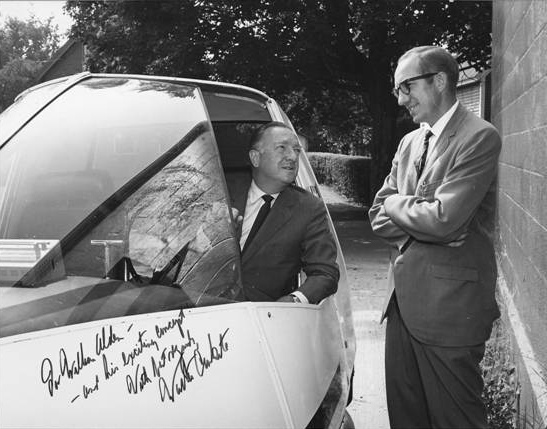 For more than a half-century, an East Falmouth entrepreneur named William Alden has been thinking about car-sharing and electric vehicles, traffic jams and pollution, parking headaches and distracted driving. But even now that we've entered the 21st century, Alden's ideas about "personal rapid transit" haven't been widely adopted (yet). At 83, though, he's still trying. Alden sent me his Cronkite photo earlier this week, and I called him to find out more.